Fostering entrepreneurship in rural BC. We offer small business loans, business counseling and specialized programs to help you start or grow a business, and to help communities become more resilient and dynamic. Committed to balancing foundational skill development and prescribed learning outcomes with personal exploration and inquiry; engaging our community and region in the learning process and school programming, with the classroom considered the ‘base camp’; and evolving the ideas of supporting each student with a ‘learner profile’ and developing with each student a ‘personal learning plan’. A place to learn and teach … Partners in learning and training for the vitality of our East Shore communities. Regional partnerships with Selkirk College, Kootenay Employment Services, Columbia Basin Trust, and others. Fostering economic development and stability for organizations, clubs, and societies serving Electoral Area A on the East Shore of Kootenay Lake. 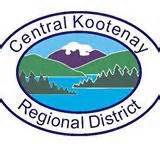 Invest Kootenay is a joint-initiative of local governments, economic development organizations & Chambers of Commerce with the aim of attracting and retaining investment. Discover the advantages of doing business in the Kootenay region – where opportunity meets lifestyle. Purpose is to pursue, deliver, and co-ordinate resources and services provided by and for its members. Being part of the Koop is immensely beneficial to an organization’s overall health, especially in regard to the collaborative and cooperative approach that is taken when addressing regional challenges and developing strategies for success. Whether looking for work, considering a career change, investigating retraining or thinking of starting a business, KES has the latest information on funding for education and small business starts, and conduct specialized employment programs for various groups of people. A diverse group of area businesses joined together in the common goal of promotion, advancement and vitality of the East Shore of Kootenay Lake. A strong voice in presenting concerns to political or government organizations, sharing ideas, problem solving, and developing friendships. Working together to build a solid, livable community. A yoga retreat and study centre in Kootenay Bay, British Columbia, Canada. An enduring and vibrant spiritual community that is set in the beautiful mountains of southeastern British Columbia, we invite people of all ages and backgrounds to pursue their self-development and discover the promise of yoga.